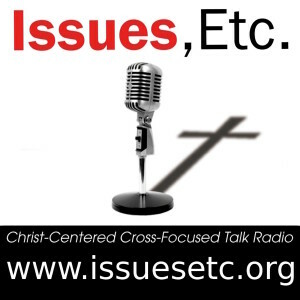 Christ-centered, cross-focused talk radio for the thinking Christian. As the LCMS's official magazine, The Lutheran Witness features stories and commentaries that interpret the contemporary world from a Lutheran Christian perspective. Learn to think and speak like a Lutheran on topics of faith, culture and family. The mission of Higher Things, Inc. is to assist parents, congregations, and pastors in cultivating and promoting a Lutheran identity among youth through conferences, retreats, publications, and the internet. The word means "worship" or "(God's) Divine Service" in German, and this journal goes by that name, because we are unabashedly dedicated to the traditional, historic liturgy of the Christian Church especially as preserved and employed by the Churches of the German Reformation of the 16th century. See also Gottesdienst Online / Gottesblog. The Alpha Center is a nonprofit agency that provides a comprehensive range of services to women and men involved in an unplanned pregnancy. The Alpha Center has been helping women and families facing an unplanned pregnancy since 1984. Over the last twenty years, women of all ages from various cultural backgrounds have received the help and support they needed when faced with a crisis pregnancy. An online radio station that proclaims the true Christian Gospel message that "Christ was crucified for our sins". We also exalt and defend the historic Christian faith from those who are trying to replace or mix it with pop-psychology, self-help, mysticism, liberalism, and Oprah-fied spirituality. PCR is hard hitting, thought provoking, fiercly Biblical and always Christ Centered. Lutherans For Life believes that the Church is compelled by God’s Word to speak and act on behalf of those who are vulnerable and defenseless. The crisis of our times is the repudiation of biblical truth manifested in the wanton destruction of innocent human life through legalized abortion-on-demand and the growing threat to the lives of others through legalized assisted suicide and euthanasia. Therefore, as Lutherans For Life, we will strive to give witness, from a biblical perspective, to the Church and society on these and other related issues such as chastity, post-abortion healing, and family living. For Lutheran churches around the world, these situations are reality. They don’t have the basic books, so vital to understand the Lutheran faith, because no one has translated them into their languages. Concordia Publishing House is the publishing arm of The Lutheran Church-Missouri Synod. It exists for the purposes of strengthening and aiding member congregations in their proclamation of the Gospel of our Lord Jesus Christ and working in partnership with the agencies and congregations of the Synod to provide publishing services. On their behalf, Concordia Publishing House will develop, produce, market and distribute products and services that are faithful to the Scriptures and the Lutheran Confessions and which will effectively serve such proclamation to people throughout the world. All to the Glory of God. Table Talk Radio is a radio program focused on proclaiming Christ Crucified for the forgiveness of sins of the whole world. We discuss various articles of the Christian faith, the Holy Scriptures as well and current events as they relate to the faith. We take these topics very seriously, but have a lot of fun doing it. Table Talk Radio's fast pace and fun attitude is unique to Christian Talk Radio. The blog of Pastor Robert Moeller, occasional guest preacher for our congregation.